A fax cover sheet template is a document used to explain to whom the fax is sent, the identification of the sender, and the contents of the fax. In short, it is a sheet that provides information to allow the recipient to determine what to do with the fax. It may also include whether the information is confidential or whether the fax is urgent. A fax cover sheet is used as a cover letter for any document that is being sent to a fax machine. It will help the recipient to understand where the document needs to go and who it is intended for. This is important, especially if the receiving company or business uses one fax machine for the entire employee pool. Your cover sheet will help make sure the document ends up in the right hands. 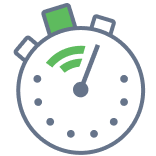 Create a free Fax Cover Sheet in minutes with our professional document builder. A professional fax cover sheet will usually include important contact information. A professional cover sheet should include the sender details, including name, address, phone number, and fax number. It should also include the same necessary information about the recipient. The date and time will also be listed. A business fax cover sheet will also typically include a company name and company logo. A professional fax cover page may also include a brief summary or description about the document that is attached. This summary can include what the document is about, how many pages are in the fax document, and any other relevant information. You can also include optional information such as: whether the document contains sensitive information, the urgency level of the attached materials, and any other important information. 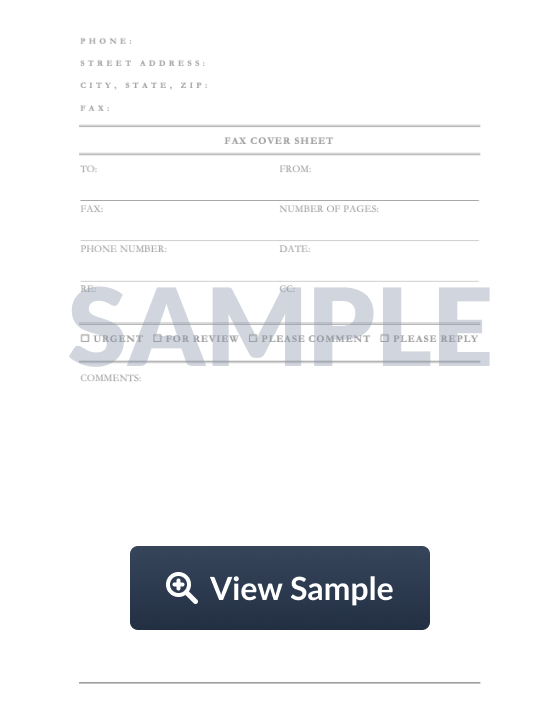 Free fax cover sheet templates are available available online. Fax cover sheet templates are also available through programs such as Microsoft Word. If you need help creating a fax cover letter, you should check view samples of fax templates that are available online or on Microsoft Word or Microsoft Excel. If you don't have access to Microsoft Office, online templates are the most cost-effective. Using a fax cover sheet template will make the process of creating your cover sheet much faster. If you are in a creative business, you may choose to spend more time creating and designing a fancy cover sheet to accompany your faxes.